Posted By Natalie on May 15th, 2013 at 8:54 am | 1337 comments. 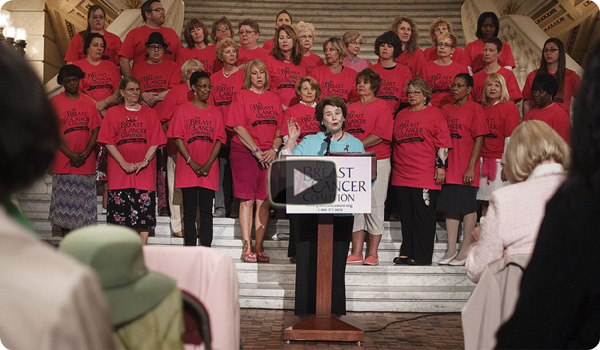 Since its creation last year, more than 2,000 nurses, social workers, caretakers advocates and school district employees have taken our FREE Online Course on Pennsylvania’s free breast cancer treatment options. Most recently, the PBCC discovered the course’s popularity among school districts throughout Pennsylvania including Mount Lebanon School District in western PA. The course is open to anyone motivated to learn about Pennsylvania’s free breast cancer treatment options, a lifeline for many newly diagnosed women. Nurses and social workers are eligible for two FREE continuing education credits upon completing the course. To take the course, visit http://pbcc.me/classroom. President’s Corner: Celebrating 20 Years Strong! Posted By Natalie on May 13th, 2013 at 9:07 am | 282 comments. We made history, again. The PBCC celebrated 20 years of education, outreach and advocacy last week with a rally in the State Capitol Rotunda. The event kicked off a special presentation of 67 Women, 67 Counties: Facing Breast Cancer in Pennsylvania, the PBCC’s photo exhibit which will be on display in the Rotunda through May 17. 32 women, all in pink, stood on the Capitol steps to represent the 32 women diagnosed with breast cancer in Pennsylvania every day. PA Secretary of Health Michael Wolf spoke of the importance of the exhibit and its impact on early screening awareness and Central PA Photo Exhibit Participants Debbie Freer and Alice Sanders shared their inspiring stories. Both the State House of Representatives and State Senate passed resolutions proclaiming May 7, 2013 “PA Breast Cancer Coalition Day” in honor of our 20th Anniversary year. The special 20th Anniversary reception is just the beginning of the events we have in store to celebrate this milestone. Mark your calendars now to join us for special events happening this fall. On October 1, join us back at the Capitol to “Color It Pink” at the East Wing fountain. Come out to the Harrisburg Hilton on Monday, October 14 for the “Pink Party” evening reception honoring our Grassroots Partners and kicking off our 20th Anniversary Conference. On October 15, you’re invited to the PA Breast Cancer Coalition Conference. 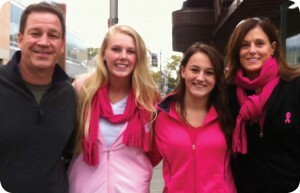 Help us celebrate 20 years of working to find a cure for breast cancer now… so our daughters won’t have to. For a list of upcoming 20th Anniversary events, click here. Click on the video below to see some of WGAL’s TV coverage of the 20th Anniversary event. Posted By Natalie on May 13th, 2013 at 9:04 am | 1037 comments. Do YOU have what it takes? 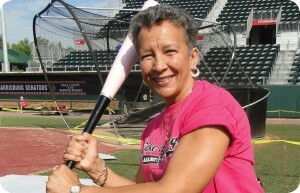 Join the fun and step up to the plate in this summer’s Take a Swing Against Breast Cancer Home Run Derby events. The PBCC will visit 5 professional ballparks across the state during June and July, searching for the best team around. The Home Run Derby consists of teams of four batters, or individual batters, competing to hit home runs in professional baseball parks. Each batter gets 15 swings. Batters are scored on a scale of 10 points for a fair ball hit in the infield to 100 points for a home run. Prizes are given to the team at each stadium with the highest point score, and to the statewide individual winner. In exchange for the per-team registration fee all event participants receive a batter’s jersey, program, souvenir team photo, goody bag and a great experience! To date, our dedicated teams have raised tens of thousands of dollars to support women and their families living with breast cancer in Pennsylvania. Join our fight and sign up to bat, volunteer or sponsor today! Posted By Natalie on May 13th, 2013 at 8:58 am | 1890 comments. Dr. Kathryn Schmitz with the University of Pennsylvania’s Abramson Cancer Center has conducted the Physical Activity and Lymphedema Trial (PAL Trial) which found that the frequency of lymphedema events was reduced in women who did weightlifting with their affected arm. Now a new study known as the Women in Study Exercise Research Survivor Study (WISER Survivor), seeks to examine the effects of exercise and/or weight loss on lymphedema, which refers to an accumulation of fluid in the arm or torso that can result from changes to the lymph system after breast cancer treatment. Scientists will also investigate risk factors for breast cancer and quality of life. In this 12 month study, participants will be involved in an in-home Power Block exercise program and/or a complete diet weight loss intervention. Researchers are looking for breast cancer survivors from Southeast Pennsylvania and neighboring counties of New Jersey who have lymphedema and might benefit from a weight loss and exercise program. For more information about this study click here (link to study http://wiser2.med.upenn.edu/). To inquire about participation in this study you can email Dr. Schmitz’s team at wiser2@mail.med.upenn.edu. Posted By Natalie on May 13th, 2013 at 8:57 am | 1038 comments. Last September, I had what I thought would be a routine mammogram, but crystallized spots showed on the results. I had a biopsy and was then told that I needed to see a surgeon. The surgeon determined that it was DCIS and that I had two options…What to do?…either have the breast removed or have a partial mastectomy followed by radiation and five years of tamoxifen treatment. I left the office leaning towards having the breast completely removed, but I felt like I should get a second opinion first. The surgeon didn’t think a second opinion was necessary but said of course it was up to me. I had the second opinion at Johns Hopkins. They looked at the test results and said it was atypical ductal hyperplasia (ADH), a pre-cancerous condition. The treatment they recommended was just the partial mastectomy. I had the surgery done there there and then a follow-up biopsy. That biopsy matched their initial diagnosis. Then I worried for a time whether the first hospital or the second one was correct. I wasn’t convinced I’d made the right decision until my six-month follow-up appointment; I was completely clear. I think that following my instincts and having a second opinion was crucial in saving me unnecessary radiation and drug therapy. My family was very supportive. I’ve been married for 23 years and have two wonderful daughters. I work in a fast-paced environment as assistant to the Vice President of Sales at HealthAmerica. For fun and relaxation, I travel to the Caribbean with a group of girlfriends. We’ve been doing that every year now for the past five years! Posted By Natalie on May 13th, 2013 at 8:55 am | 1175 comments. 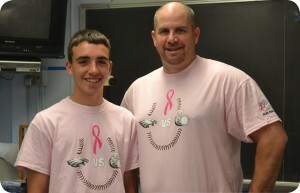 Dover Area High School students Bryce Smith and Brady Hilbert stepped up to the plate for breast cancer awareness and used their baseball team as a part of their senior project when the Eagles took on the York Suburban Trojans in early May. The students reached out to the PA Breast Cancer Coalition as their project’s beneficiary and they planned a dress-down day at all 6 of the Dover Area schools with donations coming to the PBCC. They also sold t-shirts in support of the project, and wore the pink t-shirts together as a team. The game was a huge success and even the four-legged friends joined in the action! Thanks so much to Bryce and Brady for coordinating the breast cancer awareness game and spreading the word to the Dover community about the PBCC’s services and programs. Overall, total donations are still being tallied, but the awareness spread by the teammates is invaluable! Learn more about how YOU can be a Grassroots Partner for the PBCC here. Posted By Natalie on May 13th, 2013 at 8:51 am | 1133 comments. 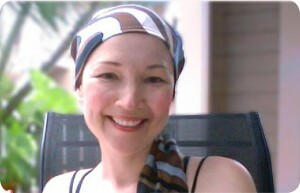 The mission of GoodWishes™ is simple: to provide one beautiful wrap or scarf free of charge to anyone experiencing hair loss from cancer treatments. The organization sees it as one small way to ease the journey and provide a bit of comfort. The program has sent out 6,474 head wraps so far — across the U.S. and to 10 other countries — each with a card signed by the entire staff. After starting with silk, they introduced models in cotton, velvet, and performance fabric for athletes.